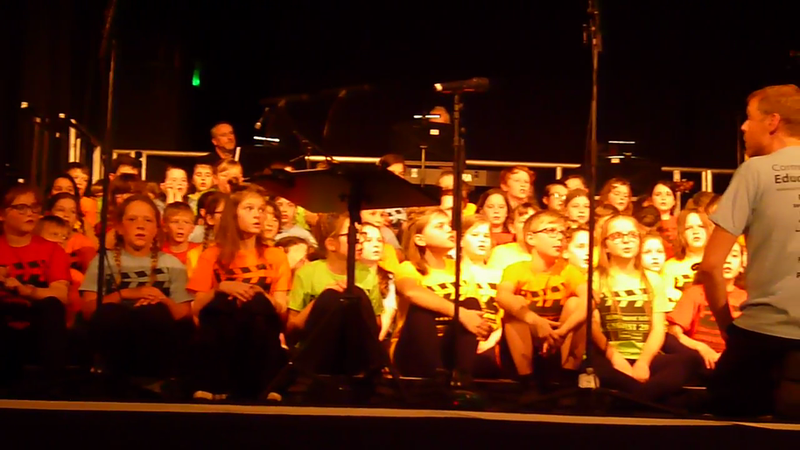 Twelve members of the choir joined in with many other local schools to perform as one large choir. All of our school choir has been practising since September. Patrick Bailey from the Cornwall Music Hub came into school in February to see how the choir was progressing, lead a rehearsal and then on the evening conducted all the schools. The evening performance was in Launceston Town Hall. All our choir sang and performed confidently. They had a fantastic time singing and performing actions to songs from many films and musicals.